Before setting their sights on the UK, New Plymouth band AGENT had become a household name in their home town. Their following was loyal to the point that to play after them would be to risk playing to an empty room as I’m sure I witnessed on at least a couple of occasions! ‘Kingdom of Fear’ instantly takes me back to those nights at the Basement Bar. It’s the AGENT live sound captured perfectly but unlike it’s predecessor ‘Expand/Contract’ there’s another factor coming into play here: atmosphere. It’s what takes ‘Kingdom of Fear’ to a new level altogether. Before I get into that though, we must take a step back to admire the work that’s gone into writing these songs over-all because every track on this album is a mini-opus in itself. The three interlude-type tracks aside, for the most part the songs on ‘Kingdom of Fear’ are extremely complex, constructed non-conventionally with many sections and many more intricacies within those sections – it’s about as non-paint by numbers as you can get. At this point you can really begin to appreciate the atmospheric component to this recording because among those sections you’ll hear everything from experimental layered vocals, oscillating effects, delays and other prog/psychedelic audial paraphernalia. All of the above feature extra strongly in tracks like ‘Vultures’, ‘Kingdom of Fear’ and my favourite song on the album ‘Dark Dreams’. 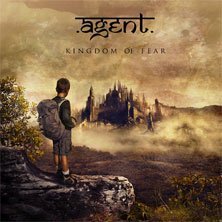 If you’re into prog rock in the vein of TOOL, KARNIVOOL, AMPLIFIER (UK) then ‘Kingdom of Fear’ will be right up your alley.